The coaching process is not about being told what to do but more about finding out what the best way forward for you is. It is empowering you to identify your needs and then implementing strategies to meet these needs. Helen honours each individual as the expert in their life and work and she believes that every client is creative, resourceful and whole. For coaching to work there needs to be openness, connection and commitment. While recognising that everyone is unique and at different places in their life, the more you put into the coaching process the more you will get out of it. The number of sessions depends on the client’s needs, the type of goals, how frequent sessions are and budget. In general a minimum of 6 to 8 sessions is suggested to make significant change however there is no set rule. Everyone is different with a different focus. As Helen is client led she will go by your lead. Some people require a few sessions others require more and a lot of people may have a set number of sessions initially and then ‘top up’ for a session every month/ 6months or year! Usually sessions are around the hour but it is suggested to allow hour and half. A first session is the hour and half. Helen is based at 4 Clooney Terrace, Derry where she works from warm, secure and light space at the back of the building with an open vista. Coaching can also be carried out via Skype and telephone. When working with a business or organisation coaching can take place on site. In order for the coaching relationship to thrive confidentiality is of paramount importance. Helen recognises this and adheres to the AC code of ethics. Counselling is a therapy and coaching is a process. Therapy deals with healing pain, dysfunction and conflict within an individual or in relationships. The focus is often on resolving difficulties arising from the past that hamper an individual’s emotional functioning in the present, it often focuses on the ‘Why?’ of the issue. How do I know if coaching will benefit me? It is important to reflect on what support you are seeking and what you would like to achieve from the coaching process. Before you commit to booking a session there is an opportunity to meet with Helen to find out more about the coaching process, Helens approach and answer any questions you might have. 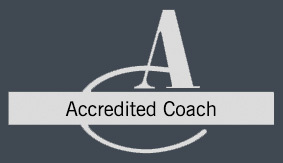 You can then assess if you feel coaching with Helen and her approach is for you. There is no charge for this initial ‘chemistry’ session. If you are interested and would like to find out more, Helen suggests you get in touch for an initial, no obligation, chat whereby she can explain her coaching approach and answer any questions you might have to help you decide whether coaching is for you. If you decide to make an appointment Helen will send you out some information to help focus for the first session.